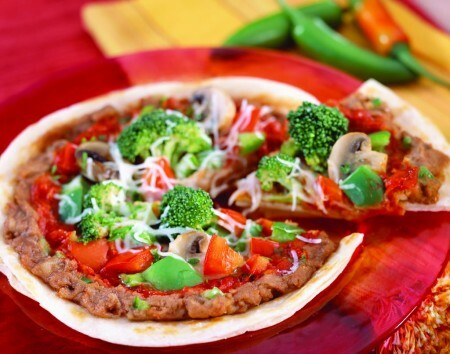 I have struggled to write this article on healthy recipes for weight loss for a long time. A healthy diet is essential for weight loss. While it’s necessary to cut down on fats and calories, your body still needs large amounts of nutritious foods. You need to find healthy recipes of course, and you can also learn to adapt your favorite recipes to replace unhealthy, calorie-laden ingredients with low-fat, nutrient-rich foods. Many diet programs fail in the long run because they involve boring, tasteless foods. Sometimes they involve eating only one type of food, which we all know is not healthy either. Thus, a successful weight loss program should focus on healthy recipes for weight loss that promote good eating habits. All it takes is a little effort and imagination to achieve your goals. Recipe substitution is a delicious and healthy way to lose weight. Your favorite recipes will taste just as good if you replace unhealthful ingredients with healthier options. Use low-fat cheese instead of full-fat. Ground beef in hamburgers, meatloaf or spaghetti can be replaced with ground turkey, chicken, or lean pork. Your cooking method can make a huge difference in terms of calories and nutrition. Frying adds unwanted fats to your otherwise healthy recipe and can derail your healthy eating program. Instead, you can choose to bake, grill, steam, or broil your food. When you steam your vegetables instead of boiling them, the nutrients remain in the vegetables, not in the water. Tiny adjustments in your cooking methods can add up to make a healthier recipe for weight loss. Reduce the amount of oil used for sautéing, and trim all visible fat from meat cuts. Remove skin from poultry and cut down on unhealthy, saturated fats. Healthy loss can be achieved by adjusting recipe portions and proportions. Your stir-fry can be made healthier if you add more vegetables and less meat or poultry. Healthy recipes that include beans are great for loss. Beans are high in protein but low in fat and calories. You will feel full more quickly and feel satisfied much longer. Control your portion sizes and you will be able to eat your favorite foods and still lose weight. If you take the time to search, you will find hundreds of healthy recipes online. You can find recipes for healthy soups, green smoothies, snacks, pasta and vegetarian meals that will help you lose weight quickly. There are lots of things to thing about when you are trying to lose weight but at least you can start using these today.These few tips should get you started in your healthy recipes for your weight loss quest. Thanks for sharing your thoughts on san rafael california real estate. upon this I’ve discovered It absolutely useful and it has aided me out loads. I hope to give a contribution & assist different users like its helped me. Great job.